FRANCE: Siemens has unveiled a logistics solution to link its European factories, including a long-term contract with Deugro Danmark and a "roll-on roll-off" process. 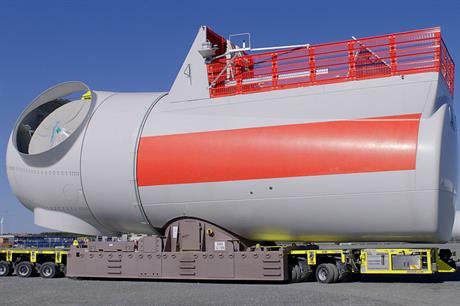 The new system could cut the levelised cost of energy by €0.02/MW, said Siemens offshore CEO Michael Hannibal.Using the vessel could reduce transport costs by 20% compared to traditional methods, the company estimates. Freight firm Deugro Danmark will build two tailor-made transport vessels, to be chartered by Siemens. The contract was signed at the EWEA 2015 event taking place in Paris, 17-20 November. The first vessel will be ready in September 2016. 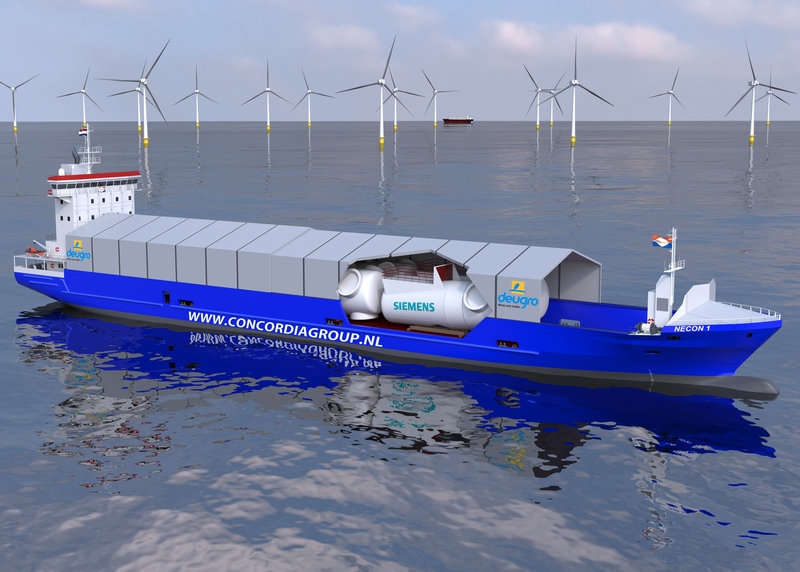 The ships will allow Siemens to use a roll-on roll-off (ro-ro) loading process for larger turbine components, removing the need for a crane. "Whenever you crane, its time consuming and means touching the blade too much. This is faster. The concept is also secured for future, longer blades," Hannibal said. The ro-ro vessels will be used to link Siemens Wind Power's facilities in Denmark with the two plants being constructed in Germany and the UK. Offshore components have reached the limit for road transfer, Hannibal added. In August, Siemens announced the investment of €200 million in an offshore turbine nacelle manufacturing facility in Cuxhaven, north Germany. The factory will produce nacelles for Siemens' D7 platform of offshore turbines, with operations expected to begin mid-2017. And in January, site construction started at Green Port Hull in north-east England. It will be home to a blade manufacturing facility, as well as turbine assembly. Production of the first blades is scheduled for winter 2016. Both sites will be constructed to handle the ro-ro system, Hannibal said. Siemens commissioned and chartered two Esvagt offshore wind service vessels, launched in June. The Esvagt Froude and Esvagt Faraday are the first dedicated offshore wind service operations vessel of their kind, providing accommodation for up to 40 technicians, storage for small turbine parts and a workshop, plus personnel transfer capabilities in up to 2.5 metre significant wave height. Siemens reports to have an offshore turbine order backlog of approximately 4.4GW.